Is it possible to predict how love stories develop, progress, and end using mathematical models? 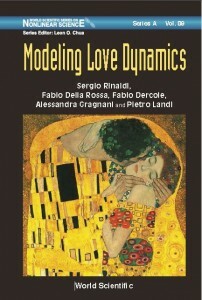 I have studied this question over the past 20 years with a group of researchers at IIASA and at the Politecnico di Milano, and as we show in our new book Modeling Love Dynamics (World Scientific, 2016), the answer is yes. The emerging message is that prediction is possible, if we can describe in formulas the way each individual reacts to the love and to the appeal of the partner. Consider a standard love story, which develops like those described in a classical Hollywood movie such as Titanic. This story can be easily modeled, if one considers reasonably appealing individuals who increase their reaction with the partner’s love – so called secure individuals. Starting from the state of indifference, where the individuals are at their first encounter, their feelings continuously grow and tend toward a positive plateau. Love stories become more intriguing when one individual is not particularly appealing, if not repelling, as in the fairy tale “Beauty and The Beast.” Indeed, in these cases, there exists also a second romantic regime, which is negative and can therefore entrain, in the long run, marital dissolution. In order to avoid that trap, people who are not very charming, or believe to be so, do all they can to look more attractive to the partner. At the first date, she wears her nicest dress and he shows up with his best fitting T-shirt. However, after a while, the bluffing can be interrupted, because the couple has entered the safe basin of attraction of the positive regime. Needless to say, the model also supports much more sophisticated behavioral strategies, like that described by Edmond Rostand in his “Cyrano de Bergerac,” the masterpiece of the French love literature. Not all individuals are secure. Indeed, some people react less and less strongly when the love of the partner overcomes a certain threshold. These individuals, often very keen to flirtation, are incapable of becoming one with their partner. The model shows that couples composed of insecure individuals tend, with almost no exception, toward an unbalanced romantic regime in which the most insecure is only marginally involved and is therefore prone to break up the relationship at the first opportunity. 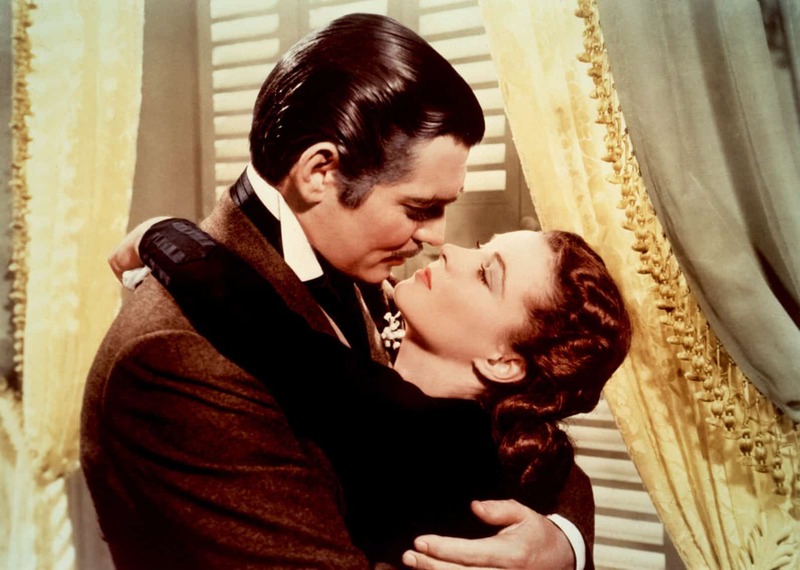 This is why after just 20 minutes of the very long “Gone with the Wind,” when one realizes that Scarlett and Rhett are both insecure, the model can already predict the end of the film, where he quits her with the lapidary “Frankly, my dear, I don’t give a damn.” The same conclusion is expected if only one of the two individuals is insecure. This explains the numerous failures in the romantic life of some individuals, like the beautiful star Liz Taylor, who is described as very insecure in all her biographies, and went, indeed, through eight marriages. Mathematical models can also be used to interpret more complex romantic behaviors. Particularly important is the case of individuals who overestimate the appeal of the partners when they are more in love with them (like parents who have a biased view of the beauty of their own kids). Interestingly, if insecurity is also present, biased couples can have romantic regimes characterized by recurrent ups and downs. In other words, the theory says that bias and insecurity is an explosive mix that triggers turbulence in the life of a couple. In the second part of the book we focus on the effects of the social environment and to the consequences of extra-emotional compartments. In this context, our analysis of the 20-years long relationship between Laura and the famous Italian poet Francis Petrarch shows that poetic inspiration is an important destabilizing factor, responsible for transforming a quiet relationship into a turbulent one. Finally, we studied triangular relationships, with emphasis on the effects of conflict and jealousy. In all these cases the dynamics of the feelings can be very wild, up to the point of being chaotic and, hence, unpredictable. When this occurs, the life of the couple becomes unsustainable, because painful periods of crisis can virtually start at any moment: a heavy permanent stress. The model can thus explain why the relationship is often interrupted, sometimes even tragically, as in the famous film by François Truffaut “Jules et Jim”, where Kathe’s suicide is perceived as a real relief. More information: Watch a video of Sergio Rinaldi’s talk at the 2015 Systems Analysis Conference.